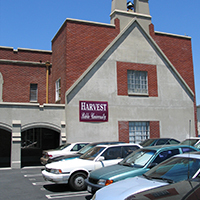 Harvest Bible University (Harvest) is committed to the responsible use of personal information collected from and about you while you are using the www.Harvest.edu website or any website or online service under the Harvest.edu domain name. Consistent with the California Online Privacy Protection Act of 2003, this privacy statement provides information about how this personal information may be used. Individual web pages under the Harvest.edu domain name may post additional privacy statements addressing more specific information collected on those pages. As users access the website, Harvest collects non-personally identifiable information such as IP address, browser type, and site usage. This information is not linked to any personal information and remains anonymous.To collect this information, the university uses session “cookies” — that is, small text files that are placed on your computer’s hard drive. The session cookies used by the university do not give us access to your computer and do not provide us with personally identifiable information. Session cookies are deleted when you close your browser. You may modify your browser settings to disallow cookies, but this may prevent you from taking full advantage of our website. Certain areas of our website collect voluntary information that is personally identifiable, such as name, zip code, and e-mail address. This is typically done through request and registration forms provided in order to learn of your interest in Harvest and provide you with information and services.Personally identifiable information may be collected as part of an online purchase, payment, or donation. In this case, Harvest uses one of the following PCI-compliant third-party services to process your transaction. Prior to using these services, we encourage you to read the privacy policies listed below. By providing personally identifiable information, you imply consent to the collection and use of the information for the purposes for which it was provided. Your information is used to provide relevant materials, products and services you request, and to facilitate relationships with the University, such as the admissions process and fund raising programs. You may opt out of receiving information from Harvest Bible University by contacting the department from which the information came.Only those Harvest Bible University employees who need personally identifiable information to perform a specific job are given access to the information. Unless required by law, personally identifiable information is only shared with third parties as necessary to provide the materials, products, and services you request. When third parties are given access to personally identifiable information, they are, by contract, not permitted to use or re-disclose any of the information for unauthorized purposes. Personally identifiable information is never sold to third parties. In order to protect the loss, misuse, or alteration of information gathered on our site, all information is stored within a controlled database environment accessible only to authorized University staff. However, as effective as any security measures implemented by the University may be, no security system is impenetrable. Harvest Bible University cannot guarantee the security of its database environment, nor can it guarantee that the information you provide will not be intercepted while being transmitted over the Internet. Harvest Bible University does not control the actions of its site visitors nor the use site visitors may make of publicly disclosed information. Please be aware that disclosing personally identifiable information on the site’s bulletin boards, guest books, chat rooms or other such public forums may allow visitors to gather information and send unsolicited email. We encourage you to report any unsolicited/unwanted email or misuse of information to info@harvest.edu. Our website may include links to other websites outside the harvest.edu domain, including co-branded or other affiliated sites that may or may not be owned or operated by Harvest Bible University. Such sites are not governed by this privacy statement. Users should become familiar with the privacy practices of those other sites.